Given the immense attention to detail and curation of the Star Wars soundtracks, presenting screenings of the classic incarnations along with the power, nuances and intensity that only a symphony orchestra in a live environment can convey, it was not further wondrous that Sydney’s ICC Theatre was nearly sold out for the Sydney Symphony Orchestra, under the direction of conductor extraordinaire Hamish McKeish, delivered a live score to The Empire Strikes Back. Attracting a diverse crowds comprised of all walks of life, ages and of course a substantial base of die-hard dressed up Star Wars aficionados, the event was infused with a very special and thrilling atmosphere and sense of anticipation – part of what you would usually get at a philharmonic concert, part pop event, part huge scale movie screening. The foyer catered to fan moments, with ample opportunities to pose with and get a photo taken with an illustrate cast of Star Wars characters – witnessing an army of Stormtroopers parade by or bumping into Chewbacca and Darth Vader has yet to lose its allure. The common denominator of the evening was the appreciation for the legendary music created by John Williams. Star Wars – The Empire Strikes Back was the first movie I ever saw at the cinema and it has had a massive impact on me as a pre-teenager. While I certainly remembered the most iconic aspects of the movies along with the classic lines of dialogue, in this new context it felt like I experienced the story and performances in an enhanced manner for the first time. It is quite astonishing how well the movie worked in tandem with the Sydney Symphony Orchestra channelling their alchemy – with the dialogue in sub-titles for those instances in which the overwhelming sound of the orchestra drowned out some of the soundtrack, one never missed a beat. What made the evening for me was the fact that the event enables audiences to hear these scores in a new way – a way that usually can go unnoticed in the cinema, specifically when it comes to the brass section amplifying the battle sequences and the overall storytelling aspect of the movie. An evening that was testament not only to the timeless visionary oeuvre of George Lucas, his characters and the Oscar-winning score by John Williams, but also the abilities of conductor Hamish McKeish, a self-professed Star Wars fan, who was able to hit the sweet spot when it comes to paying homage but still transport a legacy into the current time and frame it into a context that makes for an engaging event for all ages. 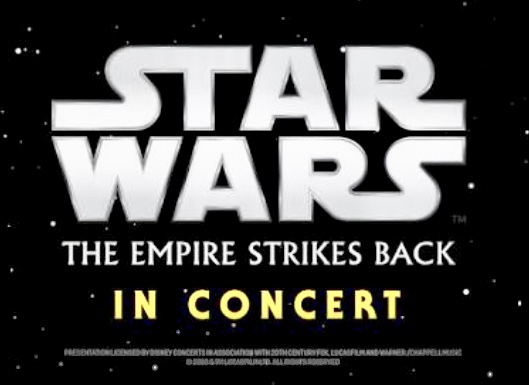 Word around the campfire is that the next instalment of the Sydney Symphony Orchestra delivering a live score for a Star Wars episode is planned for early 2019 – given the interest, securing tickets early on is advisable.